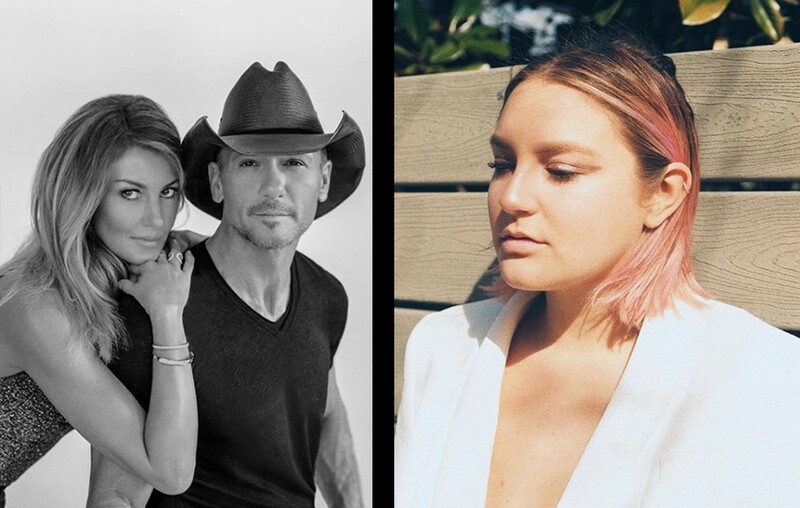 Get to know country music stars Tim McGraw and Faith Hill's eldest daughter, Gracie McGraw, here! Country music power couple Tim McGraw and Faith Hill are the proud parents of three daughters: Gracie McGraw, Maggie McGraw, and Audrey McGraw. Gracie McGraw, the oldest, will turn 22-years-old in May and attends college at New York University. While all three of their daughters have great singing voices,only Gracie has shown an interest in performing. In 2015, she joined her dad on stage at the Bridgestone Arena in Nashville where they performed “Here Tonight.” Gracie was hardly a newbie to the stage, at 18-years-old she fronted an all-female alt-rock group called Tingo. The group performed publicly and cut some songs between college semesters, but it’s unknown if the band is still together and making music. On this day, 21 years ago, Tim and I learned for the first time what it meant to love someone so much that our hearts would explode. That precious baby girl has now grown into the most stunning young woman. She is joy, she is strength, she is true, she is loyal, she is sunshine, she is fierce, she is art, she is still our baby girl. The laughs I have shared with this child!!!!! So much fun!! Happy 21st Birthday to our daughter, Gracie🌺🌺🌺 We love you so much!!! “You want some affirmation. You want some understanding. You want some equality, all those things you want your daughters to take with them when they go out into the world and expect not only from…their partner in life, but from their business associates. You want them to set a high bar for what they expect from those people and how they expect to be treated,” McGraw shared with Rare Country. Watch the official “Speak To A Girl” music video below! Share this look at Gracie McGraw with other fans of this country music family!